I'm excited about today's post because I tried a new fancy fold - Pop and Twist - and I love how it turned out! 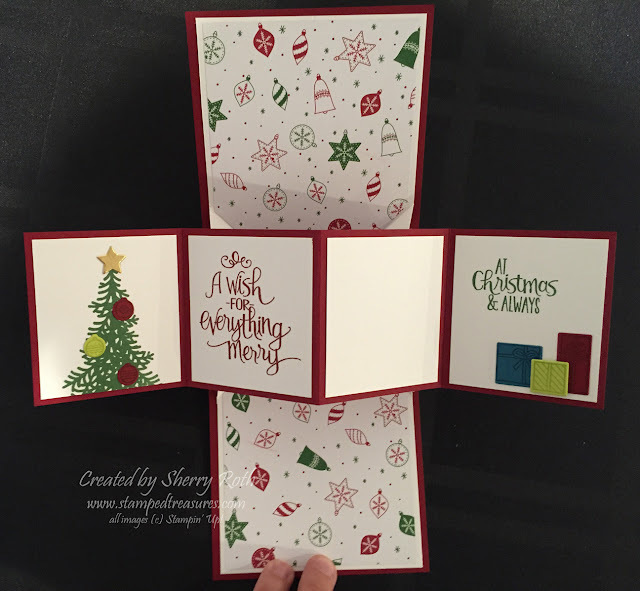 It uses the Ready for Christmas bundle from the upcoming holiday catalogue. Here's a peek at the inside. 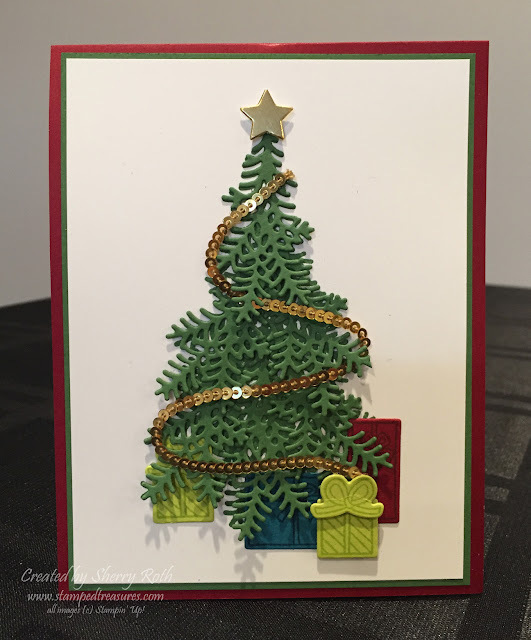 I don't have plans to film a video with this fold but will share the video that I used to create this card. You can find it here. You really do need to be very precise in order for it to work but MayMay does a great job explaining it. It took me two tries to get it just right. It definitely is a wow card though! I'm also excited about today's post because I'm sharing my first ever Facebook Live video with you! I filmed it yesterday when I received my box of holiday catalogue goodies. So if you want to have a little peek at what's to come, be sure to check it out. Thanks for stopping by today, have a great long weekend! 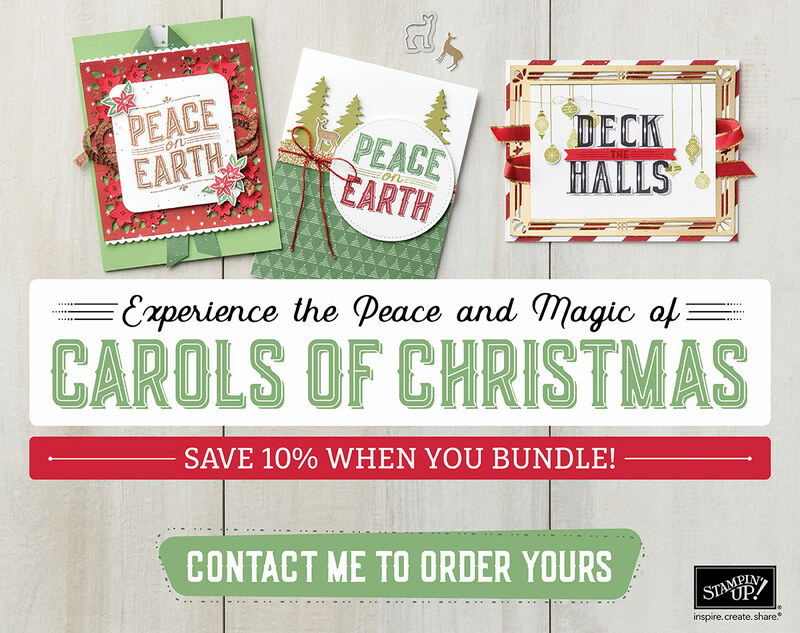 Purchase the Carols of Christmas bundle before the rest of the holiday catalogue is released! Available beginning August 2nd! 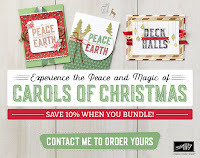 This is such a fabulous bundle, you will love it. The thinlits will be something you will find yourself turning to all year long. Don't forget to redeem the coupon codes you earned in July! You have until August 31st.